In honor of legendary documentary filmmaker Albert Maysles’ 85th birthday and the release of his new film ‘The Love We Make’, a collaboration with Paul McCartney, Maysles Cinema will present a very special screening this coming Friday, November 18, for one night only, of the director’s cut of the Maysles’ Brothers’ documentary ‘What’s Happening: The Beatles in the USA”. Along with this special screening will be a Q&A with Albert Maysles. “What’s Happening! The Beatles in the USA” was made in 1964 by the Maysles. It is a humorous, freewheeling and candid account of The Beatles arrival in America in February in the mid-1960s. The Maysles follow the Fab Four for five days, from the crazed JFK airport reception to unguarded moments inside the Plaza Hotel in preparation for their landmark Ed Sullivan Show appearance to their equally frenzied homecoming. To attend and purchase tickets to this event, click here. I received an interesting email today from the Paul McCartney Fan Club (yes, I am a huge fan) informing me that there is a documentary called The Love We Make, which is a chronicle of Paul McCartney life after 9/11. The email went on to say that the documentary is directed by Albert Maysles, a brilliant filmmaker and a long time resident of Harlem. According to the Maysles website, Albert Maysles follows legendary rocker Paul McCartney as he prepares for the Concert for New York in the month after the 9/11 attacks, partnering with Elton John, The Who, David Bowie, Billy Joel and many more to Madison Square Garden for a night of musical healing. The film captures the legendary rock star and his desire to help NYC, the place were McCartney’s first wife Linda Eastman is from. To see this film in New York City, there is an opportunity on September 8, but it is only for American Express credit card holders. 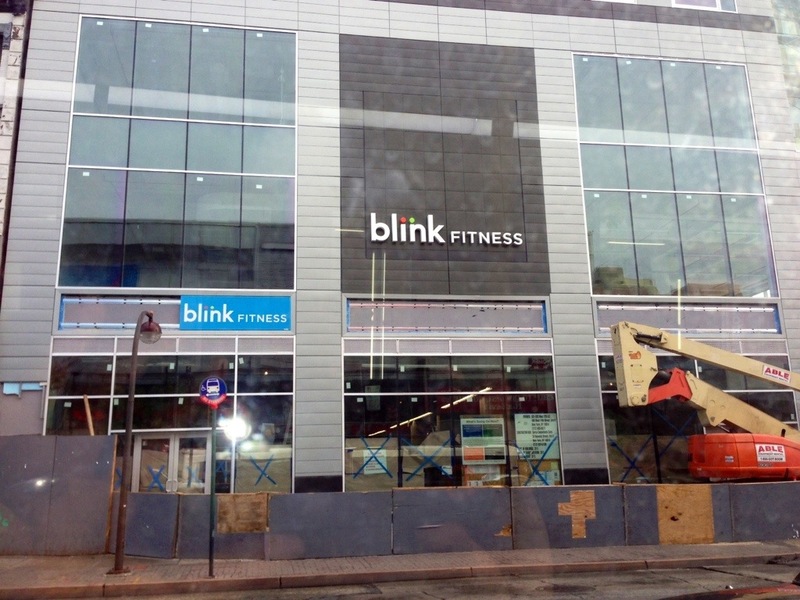 If you have an AMEX card, click here for tickets. And then starting on September 10 at 9 p.m. ET, subscribers to Showtime to can view the documentary then and on several other occasions. I just wish this film was showing in Harlem. Some of us might not get to see it. Not everyone has an AMEX card or Showtime. Mr. Maysles, why not show The Love We Make at the Magic Johnson Theater or Maysles Cinema on Lenox Ave? 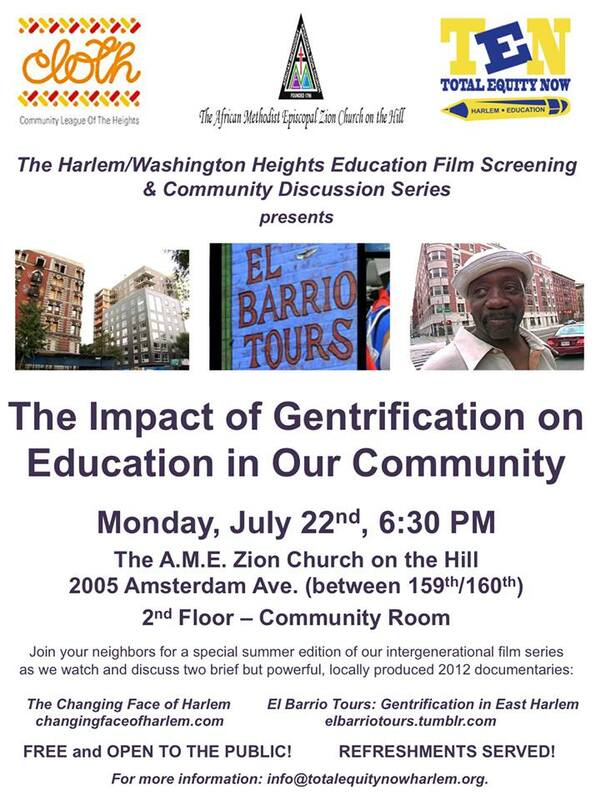 This way Harlem has an opportunity to such a timely documentary. 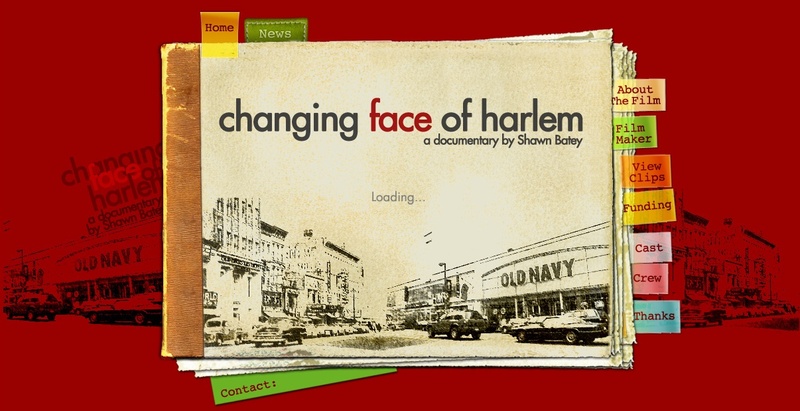 The director of Changing Face of Harlem has informed us that there is an interesting film playing tonight at the Maysles Cinema, located at 343 Lenox Avenue. 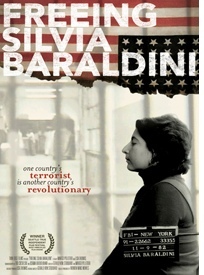 For one night only, see award-winning Freeing Silvia Baraldini tonight, July 6th, at 7 p.m. The film is about an Italian national who was arrested in the 80’s and sentenced to 43 years in prison in part for her participation in helping to free a Black Panther from prison. To read more about the film and purchase tickets, go to Maysles Cinema. “The Other Side of Immigration” is a documentary based on interviews with men and women in the Mexican countryside. The film explores why so many people leave small Mexican towns to work in the United States and what happens to the families and communities they leave behind. This film has screened at dozens of universities, conferences, and film festivals in the U.S. and Europe since 2009.